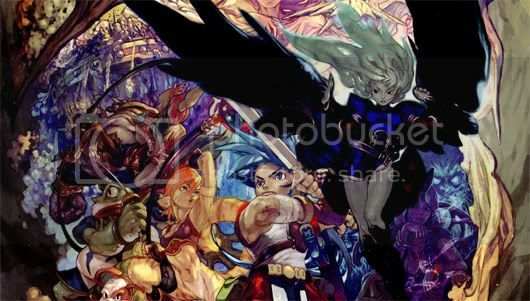 Breath of Fire is a series not too many people got into, and that’s really a shame… because it’s one of the better RPG series’ to ever grace video game consoles. Why is that? Why is it called Breath of Fire? If I told you the main character’s name is Ryu, would that give you a hint? If you don’t know what Ryu means in Japanese, it’s “dragon.” While this isn’t its only meaning, the others play parts in the game as well, being that this is an RPG. “So your guy is named Ryu, does he breathe fire then?” Well… yes. When he turns into a dragon, that is. WHAAAAAAAAAAAAA? Yeah, you can turn into a dragon. While the way this works varies from each iteration of the series, the same idea is always in place. While I enjoyed BoF 1 & 2, 3 & 4 are the games that stand out in my mind. There’s something about isometric cameras in RPGs that call to me. And the funny thing is remembering those parts that took me hours, that I hated at the time… yet I love them. And I’m not talking about hard battles, I’m talking about stupid “hide and seek” side missions you can find in any older JRPG. They always have some hidden corner you didn’t know about until you randomly walked back there after hours of searching. It reminds me of when you’re looking for something in your house, and you keep checking the exact same spots, even though it’s never there. In any case, what’s so great about these? Well, to start off, the charac- “Let me guess… there is the main character who is troubled/mysterious, a person (probably a girl) that does magic, a big beefy dude, etc…” Um… partly. Yes, this is a JRPG, so you know the gist of how it works. However, what you may have forgotten about the older JRPGs is the characters were actually… characters. And I mean crazy, colorful, actual characters that portrayed emotions and personalities you could get involved with. You could be empathetic with their paths, and you want to see them succeed. What else sets the series apart from other games… well, I suppose the “other world” you are able to take part in. You actually get to go to the fairy realm, grow a village, cultivate the land and give out jobs, etc. Not necessary, but it is a nice change of pace, and you are rewarded for doing so. And while not entirely original, fishing is actually quite fun in this game. Plus, you get a talking onion on your team named Peco in the third installment. Seriously. It doesn’t get much cooler. If you’re wondering about the fighting in the game, it is like most other old RPGs. 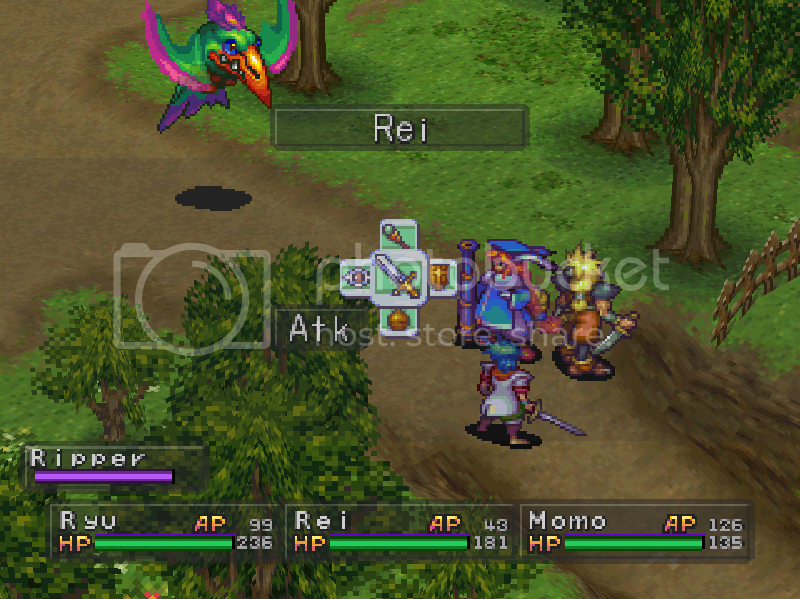 Turn based fighting, though abilities allow for variation in this aspect. 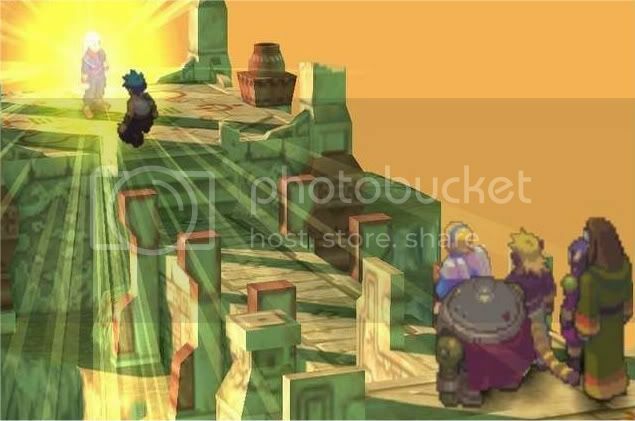 Each character also has abilities to use outside of fighting, to solve puzzles and whatnot. You know what other game series did this really well? Wild Arms. I love Wild Arms. 1-3 were absolutely amazing. If you haven’t played those, pick them up as well. Wow, I should be getting paid for the amount of promotion I’m doing… enough of that. Yes, BoF is a JRPG. Yes, you’ve probably played something similar in game play. But one thing you haven’t done is experienced the joy and splendor this series can provide (assuming you haven’t played them). I actually failed to mention BoF: Dragon Quarter, as this game is… well, I don’t even really acknowledge that it exists. Some people liked it, but… nah, that was just a joke from Capcom. They wanted to put out a bad game to say the series is dead and move on for some unapparent reason. Maybe they don’t like making them as much as Miyamoto. Whatever the case, if you happen to see these games (SNES, GBA, PS1, PSP, PC, etc…), you should buy them. You (probably) won’t regret it.